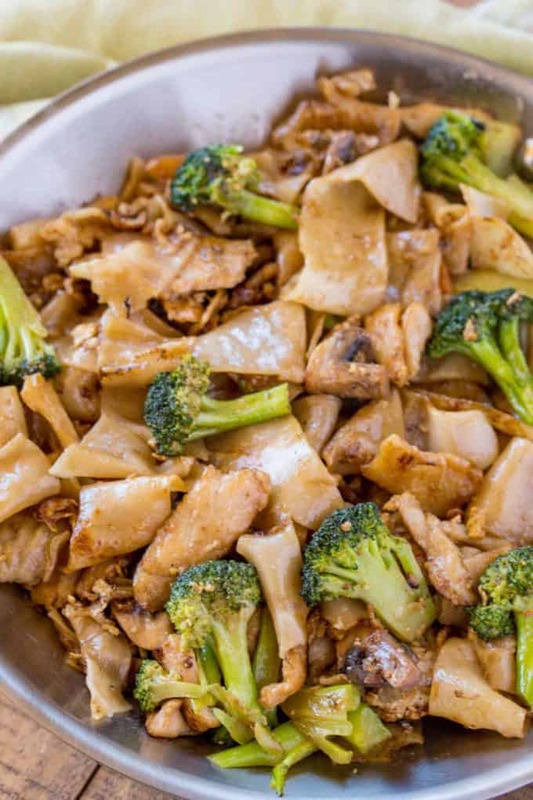 Pad See Ew is a Thai Stir Fry Noodle Dish made with extra thick rice noodles in a sweet and savory sauce made from soy sauce, fish sauce, oyster sauce and sugar in less than 30 minutes. 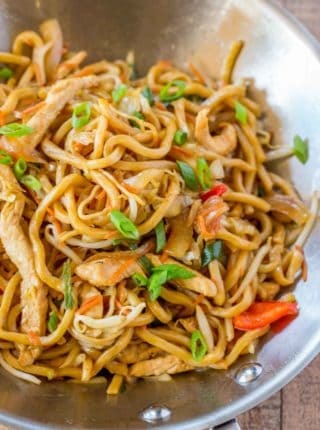 I recently shared my Easy Pad Thai recipe, our favorite Thai noodle recipe, but we are equally opportunity noodle lovers here and our other favorites are Chicken Lo Mein and Classic Chinese Chow Mein. 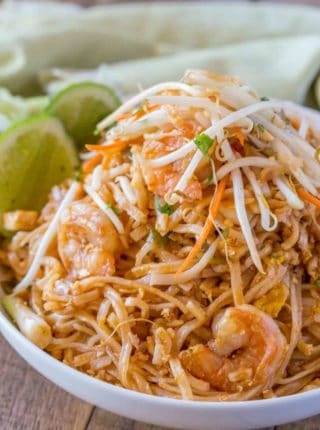 Thai food is one of our favorites and with just a few new ingredients in your pantry it can be a household favorite for you too. We are all used to Chinese food copycat recipes, but Thai food is possibly even more flavorful and naturally generally healthier too. Once you start experimenting with these flavors and ingredients like fish sauce, dark soy sauce and oyster sauce (which is also an ingredient in my favorite fried rice) you’ll see they aren’t as unusual as they may seem (or smell) individually. 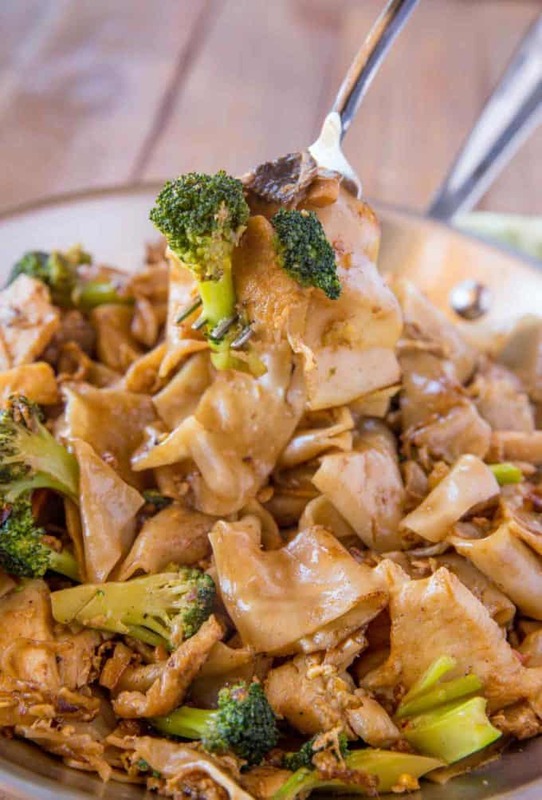 In fact the flavors of this Pad See Ew all come together to make a delicious stir fry sauce you’ll find yourself experimenting with for different recipes too. What is pad see ew noodles made from? Is there gluten in Pad See Ew? There’s no gluten in the rice noodles or many of the ingredients, but you have to ensure you are using tamari instead of soy sauce if you are trying to avoid gluten in your diet. 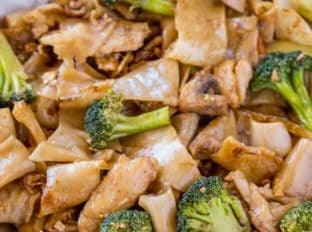 What Sauce is in Pad See Ew? 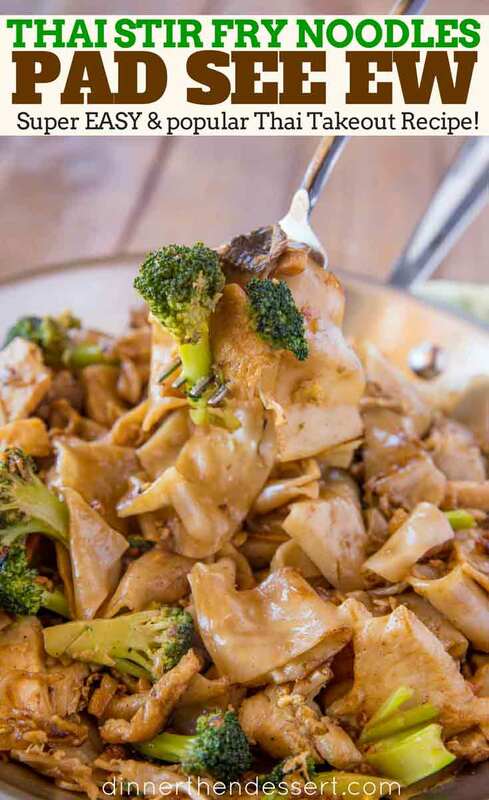 Pad See Ew sauce is made with fish sauce, oyster sauce, soy sauce and sugar which is added to soaked wide, flat, rice noodles in a stir fry. How do you cook Rice Noodles? There are two schools of thought about rice noodles. Some people like the all soaking method where you soak in cold water for 30-45 minutes before draining. The second method is to boil them for one minute, steep for 5 minutes, then drain and rinse before adding to recipes. If I am in a rush I prefer to boil/steep and rinse because I can do that while cooking the rest of the ingredients in the wok. For this recipe I actually soaked the noodles in water until they went from translucent to white, this took about 30 minutes. What to serve with Pad See Ew? We love serving this with Chicken Satay with Peanut Sauce, Papaya Salad and Crab Rangoon. Soak the noodles for 30 minutes in cold water or boil them for one minute and steep them in the hot water for five minutes before draining. Cut the chicken into thin strips and toss with soy sauce. Add 2 tablespoons of canola oil to the wok or large skillet on medium high heat. Sear the chicken on both sides for 2-3 minutes. While the chicken is cooking add the soy sauce, dark soy sauce, fish sauce and oyster sauce to a bowl and whisk them together. Add in the egg to the skillet and chop it up with a spatula while cooking. Add in the garlic, broccoli and mushrooms with the remaining oil. Cook on high heat before adding in the noodles and chicken. Cook the noodles until slightly crispy 2-3 minutes. Add in the sauce, toss well and let cook for another 1-2 minutes or until noodles caramelize a little. I grew up in Thailand and this recipe is as authentic as it gets! Thanks! Thanks for the 5 star rating, Jim! 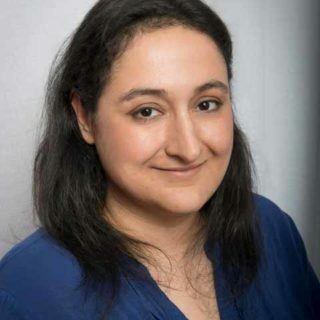 Great site Sabrina! Can’t wait to try some of these recipes. Wow ! I tried to cook the Pad See Ew. That was super super tasty my kids loved it ! I followed the way how it supposed to …step by step & it came out close just the way it tastes the one we ate at the Thai Restaurant…?? Amazingly easy and tasty! I had trouble with the noodles. I did the boil for a minute and let sit in hot water for 5 minute method. They all stuck especially when drained and were sitting for a while. They were also very mushy and never got crispy. Maybe I need to cook them separately. I’m so glad you enjoyed it! Sorry to hear you had issues with the noodles. They really can’t sit for too long of a time. If they do, add more water to help stop them from sticking. Hope this helps for next time! Hello. I don’t mean to be rude, but you should probably check the recipe again. It’s just a bit confusing. Like, am I supposed to cook the chicken with the egg? Are the veggies supposed to be cooked in a different pan, then you add the two together? When was I supposed to add the sugar?! I’m sorry, but these seem a bit important. Please fix. It was absolutly delicious, but there was alot of guess work involved. It looks like there was a glitch not showing half of the sentences in that recipe card. Thanks for catching that! Everything gets cooked in the same skillet and goes together. I’m so glad you enjoyd it! This looks really good! 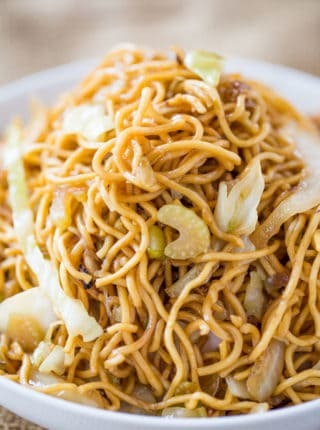 My family loves stir-fried noodles! It’s such a family friendly dish! 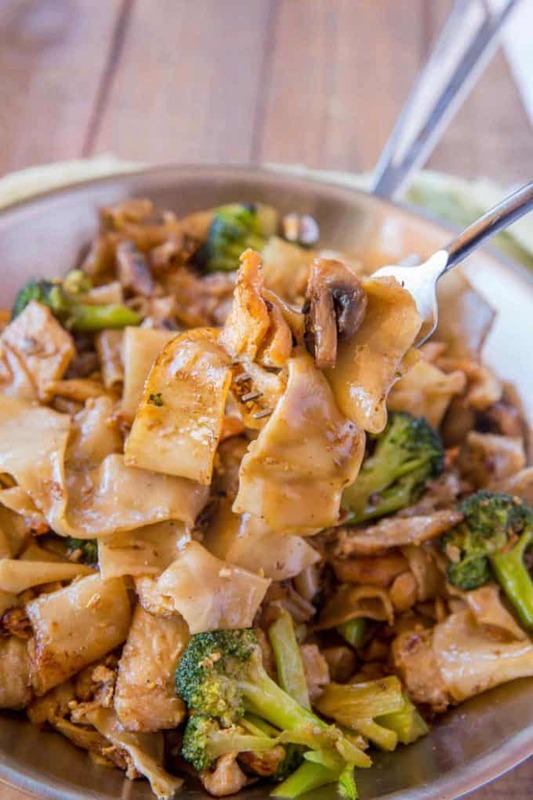 A friend hooked me on Pad See Ew years ago, and I am so excited to try this recipe at home! It’s so good and now you don’t even need to go out for it anymore! 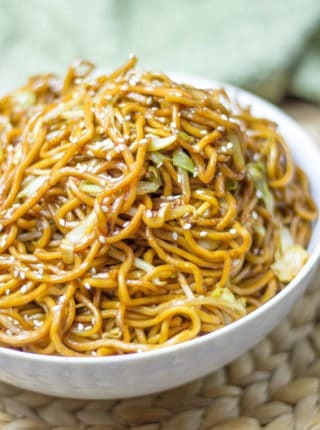 Those noodles (the entire recipe, actually) look amazing. I’ll have to give your recipe a try. This looks like a fabulous changeup from a traditional stir fry! Another delicious dinner that I must try! Sounds amazing! Adding to the menu this week! I (try) to make many dishes like this. I am always disappointed with the taste, seemingly from the Dark Soy I use. I know there are about 50 variations of soy sauce. I use a bottle labeled ‘Dark Soy’ (Kimlan Lou Chau Soy Sauce) that I got from my local asian market, but it’s very thin, like regular soy sauce. It has a very pronounced taste. My dishes never taste quite like the restaurants, so I’m left wondering if I’m using the wrong kind of ‘dark soy’. Any recommendations for brand/label? Use healthy boy brand sweet soy sauce! it has a picture of a baby in red holding a soy bottle in his lap.